You asked for it- we created it! We at Bradley are excited to bring you the new Bradley Cold Smoke Adapter. Cold Smoking on hot days proved to be quite a challenge until now. 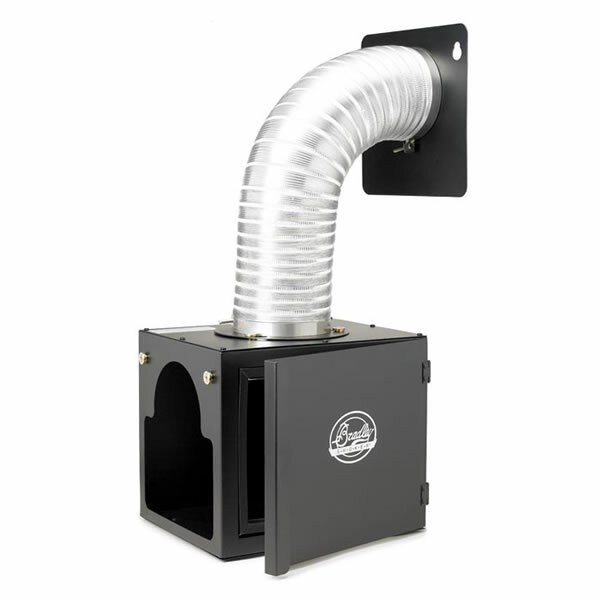 The Bradley Cold Smoke Adapter attaches between the smoke tower and the generator with a flexible aluminum tube that allows the smoke to cool down before it reaches your food, enabling you to do a true cold smoke. This unit fits onto all Bradley Smoker models. Specifications * Finished Box Weight: 11 lbs * Finished Box Dimensions: 12" H x 11" W x 17 " D * Box Construction: Powder Coated Steel * Tube Construction: Aluminum (36 inches long extended) * Min Temp: Subject to ambient * Includes: Cold Smoke Box, Flexible Aluminum Tube, Adapter Plate, Bypass Plug (for Digital Smokers) * Adaptable to: BTIS1, BTST02, BTDS76P, BTDS108P, BTPS * Other: Bisquettes not included Dimensions * Outside11%u201DW x 9.5%u201DHT - Flexible aluminum tube extends 36"